Dr. Sushma Bhatnagar is a Professor and Head of Anesthesiology, Pain and Palliative Care, at the Institute Rotary Cancer Hospital, All India Institute of Medical Sciences, New Delhi, India. Her area of interest is ‘Cancer Pain Management and Palliative Care’. She has 24 years of teaching and research experience, which has included teaching pain and palliative care to undergraduate and postgraduate medical and nursing students, and senior and junior residents and has supervised students’ theses on radiotherapy, medical oncology and general surgery, theology and psychology. She is currently deputy team leader of the Training of Trainers in Palliative Care Program for Bangladesh, a project of the Lien Collaborative for Palliative Care to enhance palliative care leadership and capacity in developing countries. Working at national level, she is a member of the Advisory Group of the National Palliative Care Program at the Ministry of Health in India, and coordinates ‘Pain Policy’ at the All India Institute of Medical Sciences, the formulation of Palliative Care Guidelines for India and the National Palliative Care Training Program of the Government of India. She has also been involved with the organization of several large conferences including the16th International Conference of the Indian Association of Palliative Care (IAPC), the 2nd International Conference on Interventional Pain and was scientific chair of the 14th and 18th International Conference of the IAPC. Dr. Bhatnagar is a reviewer of several international journals related to palliative care, has published 150 articles in indexed journals, contributed chapters to six books and edited the book, ‘Freedom from Pain’. She is also Chief Editor of the Indian Journal of Palliative Care and Associate Editor of the Indian Journal of Pain. Recognized internationally for her work, Dr. Bhatnagar has received the following awards: Leadership and Excellence Award amongst The South Asian Association for Regional Cooperation (SAARC) countries by the Cancer Aids Society; International Association for the Study of Pain (IASP) Award for Excellence in Clinical Research or Practice and/or Policy Changes in Pain Management in the Developing World, and the Distinguished Pain Physician of the country by the World Institute of Pain 2012-2013. 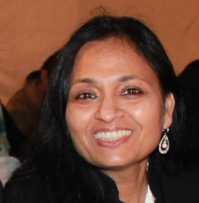 Dr. Bhatnagar joined the IAHPC Board of Directors in January 2015. She has already taken an active role in advocacy work on ketamine, advising stakeholders in India of its importance in developing countries, and the need to vote against any scheduling of ketamine. She would like to contribute to research activities and to continue her interest in advocacy. Outside of palliative care, Dr. Bhatnagar enjoys listening to music, walking and jogging. She is blessed with two sons and both are doing well in their careers. She considers her husband, a professor and Dean of Research at the Indian Institute of Technology in New Delhi, to be the key to her success and achievements.